Figure out whether you need to use a third party blogging site or can implement a blog on your existing website. This bit is extremely important. 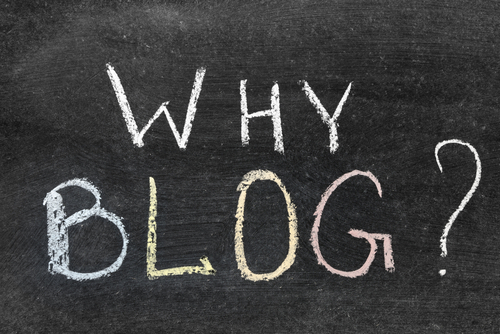 Does your existing business website have blogging functionality? If it does, great! You can start writing immediately. If it doesn’t you may need to choose a third party solution like WordPress and link to it from your site. Using a service like WordPress means you will have to set up a smaller second website, but this is fairly easy. They have a ton of templates, and are very affordable. Just make sure your branding matches up and you are good to go! This varies from business to business. You need to figure out what works for YOU. If you can only blog once a week, than do that! Do whatever is comfortable for you. Once you start getting used to blogging you will be able to write more efficiently and produce content at a faster pace. Make all your content shareable! The point of blogging is to generate engagement with your customers. Make sure all your content is easily shareable via ‘Share This’ buttons. That way, users can share anything they like with various social media networks. Share EVERYTHING on social media. If you don’t have a business social media account yet, get one. Having a social media presence is pretty much mandatory for practically any industry at this point. People won’t know about all this great content you are creating if you don’t share it with your networks! Also, be sure to use a service like bit.ly so you can track click throughs on your articles. It will help a ton with regards to seeing which articles resonate with your target audience, and which don’t.